It's now a done deal. After weeks of rumors and discussion, Disney has officially purchased the majority of 21st Century Fox, including the entirety of their movie studio 20th Century Fox, among many other valuable assets. The deal is valued at $66 billion and is quite possibly the biggest shake-up in Hollywood history. Disney has become an absolute franchise machine in recent years and, with this Fox deal, they're going to be untouchable as they've just purchased a ton of new franchises to mine for box office gold. Starting with the big ones on everyone's mind, Fox is now in control of virtually every Marvel property under the sun, assuming the deal is allowed to go through. The deal still needs to be approved, legally speaking, and that could take a while. Assuming that all works out, Disney will officially be in control of the X-Men, Deadpool and (possibly) the Fantastic Four film rights. As far as Fantastic Four goes, a company called Constantine Films actually owns the rights, but Fox has been distributing and producing the movies. So that's a bit complicated. But Disney definitely now owns everything under the X-Men banner, which is truly massive. Disney also now owns quite a few major, historically R-rated franchises. Without getting too much into what the future of these franchises may be under the roof of the Mouse House, a studio that doesn't really make R-rated movies, there are a ton of key properties they now have. For one, they now control the Alien and Predator franchises. There's also Die Hard, which has been dormant for a while, but its chances of being resurrected are now slimmer, it would seem. There's also Red Sparrow, which comes out next year and stars Jennifer Lawrence. That has franchise potential written all over it. And Kingsman appears to be a substantial property with Kingsman 3 moving forward. Under the new Fox deal, Disney also managed to scoop up a lot of big-name sci-fi. They now control the Planet of the Apes franchise, which has been doing very well recently, with War for the Planet of the Apes being released just this year. They also own The Martian, which has a sequel of sorts in the works, Artemis, based on a book by the same author. And let's not forget Avatar, which is one of the biggest elements of this deal overall, considering James Cameron is now in production on two sequels and has plans for two more. 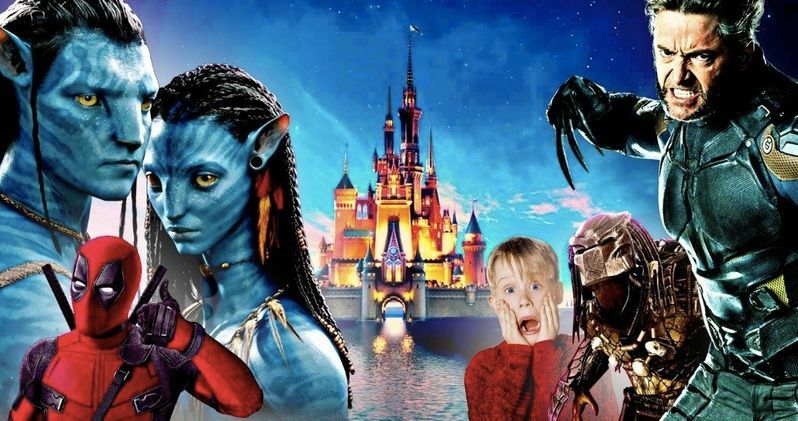 Disney is going to get all of that sweet Avatar 2 and Avatar 3 money. At least. And let's not forget Independence Day. Though, Independence Day: Resurgence did a fine job of killing the franchise last year. As far as Disney goes, some of the meatiest parts of this Fox purchase come in the form of family-friendly franchises. Fox owns Alvin and the Chipmunks, Doctor Dolittle, Home Alone, Ice Age, Night at the Museum, The Chronicles of Narnia and Percy Jackson. Assuming the deal is approved, that means Disney has a crazy amount of family franchises they can possibly pursue. There's also The Maze Runner, which wraps up next year with Maze Runner: The Death Cure, which falls into the young adult category. Last, but most certainly not least, Disney now owns every shred of Star Wars. Yes, they purchased all of Lucasfilm in 2012, but Fox still owns the home video rights for the original Star Wars, since they produced the first movie with George Lucas. There have been complications because of this, but those complications will no longer exist the moment this deal is approved. Does this mean we'll finally get the original, unaltered cuts of the original trilogy on Blu-ray? One can only hope. Disney likes money and they're going to have to make a lot to justify this purchase and that's one way to bring in a lot of it. Either way, Disney has more franchises than any single studio has ever had or likely ever will. Here is the full list of what Disney is getting in terms of franchise.